Since 2012, Deborah Ann Klotz, DDS, has saved me from needing a series of expensive, unpleasant prophylactic gum grafts. Deborah Ann Klotz, DDU, (AKA “Dr. 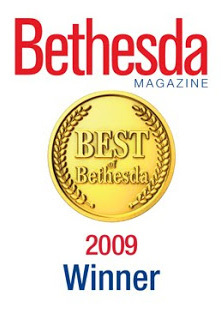 Deb”) at Bethesda Sedation Dentistry is not only the best practitioner in her field whom I have ever known; she also occasionally has offered stellar advice about my overall health care. Whether, like me, you need some form of sedation during routine dental work, or even if you prefer to remain fully alert, I highly endorse Dr. Klotz, because of her extreme competence, attentiveness, and genuine compassion. If you must be knocked out for any dental care, she and her husband Robert Schlossberg, DDS, (AKA “Dr. Rob”) are both hospital trained in intravenous (I.V.) “conscious” sedation, although they can make you sleep peacefully throughout an appointment when necessary. My teeth are in great condition, but after decades of overly aggressive brushing, my gums have receded far too much. Had I damaged them anymore, I would have needed multiple gum grafts to prevent a potentially serious infection. 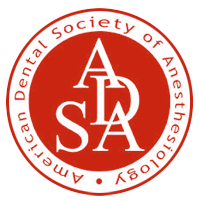 For many years, I had been seeing a male dentist whom Washingtonian magazine had consistently rated as one of the area’s finest. He provided wimpy oral doses of Demerol, an opiate painkiller, plus nitrous oxide (laughing gas) that helped somewhat to ease my discomfort during regular hygiene visits, both because I had a lot of plaque buildup as well as tender gums. He had long told me that I had no problems at all and that he did not foresee me ever having any oral complications, until one appointment in 2012. In what seemed like an abrupt change of heart, he called my lifetime of inadvertently harsh tooth brushing “a self-inflicted wound.” He pointedly warned me that if I did not start using an electric toothbrush instead of an old-fashioned manual one, my mouth eventually would succumb to the ravages of pathogenic bacteria. I Immediately adopted his belated recommendation. He did not, however, tell me to stop using Crest toothpaste or Listerine mouthwash, both of which are good products for most people, but with in my case, were further damaging my After that eye-opening appointment, and sensing that I needed a higher level of care, I stumbled upon Dr. Klotz through a Google search in 2012. 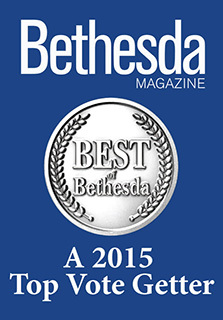 I read all of the reviews and articles about Bethesda Sedation Dentistry that I could find. For a modest fee, I also did a rather thorough background check on both Dr. Deb and Dr. Rob. I discovered no unpleasant surprises. During my first appointment with Dr. Klotz, she explained that regular brands of toothpaste such as Crest contain sodium lauryl sulfate, a foaming agent, that can harm already-damaged gums. Mouthwashes containing alcohol, that made my breathe feel ever so fresh, inflicted still more harm in my situation. She asked me to switch to a toothpaste and a mouth rinse that both contain stabilized chlorine dioxide, both of which products are made by a company named CloSYS. Many pharmacies carry these two over-the-counter items. If you have receding gums or gingivitis, CIoSYS toothpaste may save you from needing gum grafting. During my first visit with Dr. Klotz, she said that I eventually might require prophylactic gum grafts to prevent future infection. Not one to trust a new health care provider wholeheartedly, I went back to my old dentist for a second opinion. Not only did he admit that Dr. Klotz was better suited to my needs than he had been, he falsely tried to claim credit for “referring” me to her. He then told me that I should have the gum grafts that Dr. Klotz recommended. 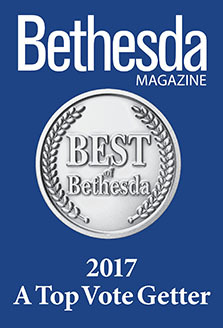 I then got a third opinion from my wife’s periodontist, who like my old dentist, had been rated highly by Washingtonian magazine. My wife’s periodontist wrote a carefully crafted letter to Dr. Klotz, suggesting that she do gum grafts on just four of my teeth, advice that she readily accepted. In 2013, with the assistance of a highly skilled nurse, I drafted an unusually long and detailed Advance Directive, in case I were to suffer a healthcare crisis and could no longer speak for myself. Both my general practitioner, a doctor of internal medicine who completed her residency at Tufts-New England Medical Center In Boston, along with Dr. Klotz, reviewed this Intricate document for oversights and other errors. In response, Dr. Klotz veale a spectacularly thoughtful letter to my doctor of Internal medicine, who was extremely Impressed. By the way, my general practitioner is so well-regarded by her patients that when she recently moved to a new office that does not accept Insurance, most of her clients followed her there, Including me. Yet whenever Dr. Klotz renders healthcare advice that has nothing to do with dentistry, my general practitioner pays very close attention. I have been seeing Dr. Klotz every four months for the past three years. During my last few appointments, Dr. Klotz has been saying that my gums have sustained no further damage then when she first met me, and she no longer feels a need for me to undergo any grafting procedures. She has forfeited several thousand dollars in potential business from me, and does not seem to care. Whenever she has rendered medical advice that is unrelated to dentistry, she has never charged me, even when I have volunteered to compensate her. Do not get me wrong: Dr. Klotz and her husband appear to earn quite a decent end hard earned living, but she has demonstrated repeatedly that to her, I am more than just a source of revenue. I strongly recommend Dr. Deborah Ann Klotz to anyone who wants an outstanding dentist, even If you never need any sedation.